The word Chicano can’t be uttered without conjuring images of powerful and politically charged youth. Everything from the subculture’s aesthetic, to its art and its history is a resistance against succumbing to the two sides of Chicano identity, instead, creating their own world somewhere between America and Mexico. In 1990s California, it was the Chicano rave scene that provided young Mexican-Americans safe spaces to escape and resist, especially from an everyday life that was commonly characterised by street violence. 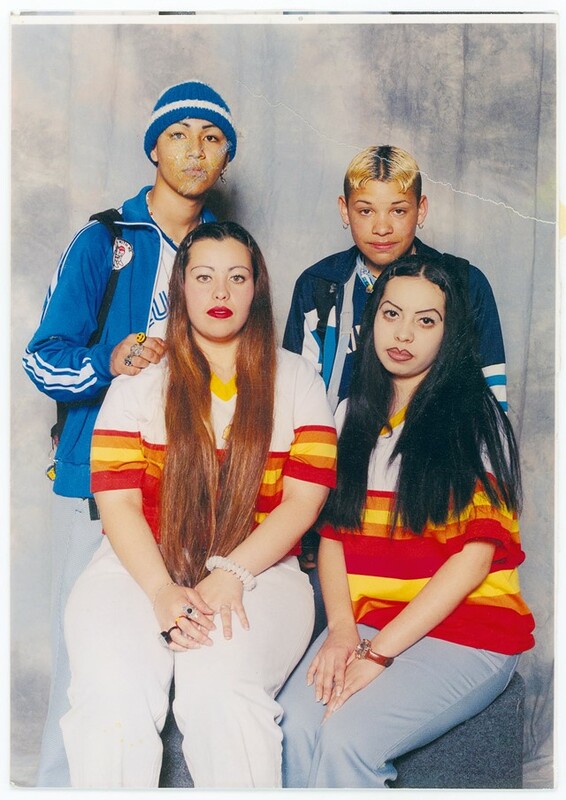 Tracing the evolution of this scene is archivist and artist Guadalupe Rosales, whose photographic archive is bringing Chicano art closer to home by generating an entire history of life in the 1990s southern California rave scene. Split into two archives that are homed on Instagram, Rosales’ work as an archivist is increasing Chicano visibility by enabling young Chicanos to see themselves represented in wider American history. Stemming from her own hoard of family photos and memories, Rosales then extended the archive, inviting people to submit their own histories. Because of this, Rosales’ archives are extensive as they reach across time, space, and personal identities to produce an all-encompassing, collective documentation of Chicano as a subculture. Rosales and her work have most recently been featured in Aperture’s latest issue, “Aperture 232”, and are now on show in an Aperture pop up exhibition, Guadalupe Rosales: Legends Never Die, A Collective Memory, running from 19 September to 20 October at Aperture Gallery, New York. To celebrate the launch of the show, below Rosales walks us through her work. 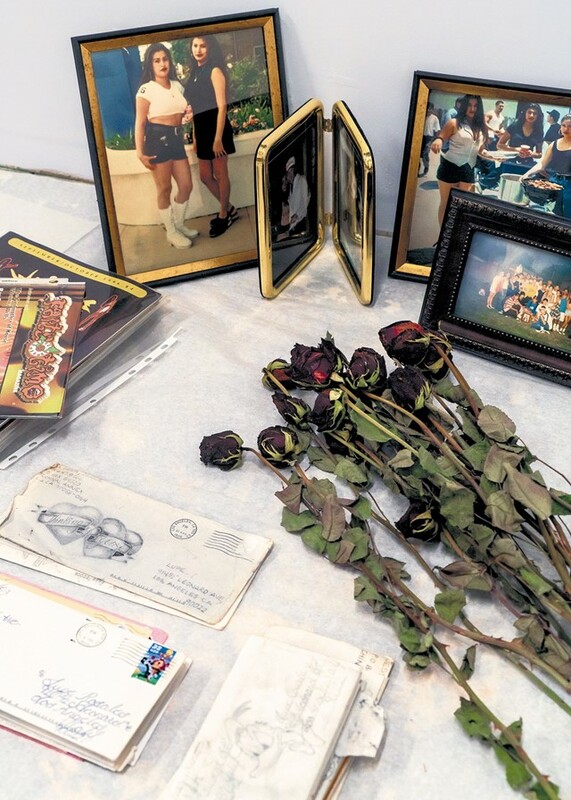 What was it like growing up in California’s 1990s Chicano culture? Guadalupe Rosales: I grew up in East LA in the early 90s. My house actually faced The Boulevard, which is a well-known street where people cruise with their low-rider cars. I remember seeing those scenes from my window because I was too young to go out and be a part of it – but I was exposed to it. That was my first experience with lowrider culture and cruising. Living in the midst of gang violence, I didn't think of it as much back then, for me, it was just daily life – this is how we grew up. What were your first experiences with Chicano rave culture? Guadalupe Rosales: One night I remember I was in my bedroom and I heard this loud music booming from outside. I looked out my window and I saw these kids dancing to house and techno and they were competing against each other – we called it battling. I remember being so curious because I had never seen anything like that. The only experience I had had with parties previously were celebrations with family. What were your first memories of the ‘party crew’ scene? Guadalupe Rosales: In high school, I made a really close friend, one I am still close with now and she reminds me of one of my earliest raving memories. We were 14 or 15, and she asked me if I partied. I told her I didn't really know what the scene was. She then told me she would pick me up on Friday. ‘I'll call you before I head out,’ she said. This was before cell phones, so she shows up at my house in a van and when I opened the door, there were like 12 or 13 people sitting in the back on the floor. I could just hear this wave of excitement, everyone was so happy to be going out. And people were yelling out their party crew name, which was LA's Aztec Nation. It felt so good. When we got to the party, there were around 100 people in someone's backyard. I could hear different party screws screaming their names and I just thought ‘wow, I want to keep doing this’. So I became a part of Aztec Nation. Party crews were organised by teenagers and each crew had about 30 people, sometimes even 70 people, or more. Each party crew would work together – so my party crew would organise events with another. Were these parties the basis for your Map Pointz archive? Guadalupe Rosales: Exactly. Where I got the name from comes from those times. When putting out flyers for parties, we didn't put the location on there because we wanted to have control over who was coming to the party, whether it was gangs or the police. So we would make a map point and put that on the flyer instead. For example, the map point would be ‘the gas station on Whittier Boulevard’, and then people would go there and pay the guy behind the counter for the directions. I wanted to name the archive after this because it’s so symbolic, and people of that era still know what it is. It also represents the analogue world we lived in. What does the archive represent more broadly? Guadalupe Rosales: My other archive, Veteranas and Rucas, was made from the perspective of women, so I also wanted to create a digital space also for men and women in the party scene. The scene was so specific at the time, people wanted to be like, ‘no, I’m a raver, I’m in a party crew, and I don’t want to be associated with anything else.’ So that’s the idea behind Map Pointz; celebrating that very distinct sense of belonging, that rave safe place that's explored through the visuals. It was all about dancing, fashion, unity, and music. Did fashion also play a key role? Guadalupe Rosales: Yes. And that sense of belonging still lingers today. The thing about the party scene is that a lot of teenagers were being criminalised or profiled as criminals or gangsters, so the party scene gave access for people to escape that. To a certain degree, people still got criminalised, you know, being brown, Latino, and a teenager. While we did create safe spaces, there were moments towards the end where people started to get caught up in violence, which ended up spilling over into the party scene. When did that shift happen? Guadalupe Rosales: In the late 90s, 1996-97. Do your archives aim to change the stigmatisation of Chicano culture in the media? Guadalupe Rosales: This is the thing; I'm not trying to censor anything. I just like to show what was happening. Yes, of course, I talk about the violence, but I don't just focus on this. I talk about violence within the injustices we were facing too, for example, the LA Riots (1992). I like to raise questions; how did all of these issues affect the youth? Because at the same time, we were trying to organise safe spaces away from this violence because we didn't have any, and no one else was doing it for us. Those are the things that I like to highlight in the archives. For me, the archive is like a constellation. It's me, as one person, standing in the middle of these endless subcultures around Chicano identity. It's about connectivity.